Replaces the Competitor in our line up. It’s built for the serious barrel racer. We combine many features that barrel racers are looking for and designed to be the ultimate barrel saddle. 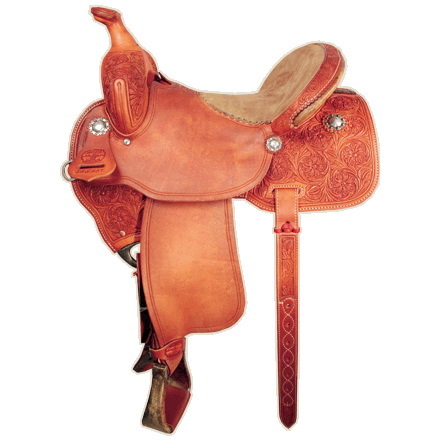 Our saddle has one of the deepest and narrowest seat in the industry for close contact riding. Tryers are believers. Custom McCall Barrel racer with fly weight close contact bar. 8¼” high by 6 3/8″ QH bar (FQH available). Special barrel racer 3½” high by 2¼” cap. 4″ high by 12″ wide. 13″ to 16″ in half inch increments. Special barrel racer rigging and design. 2″ rawhide cover barrel racer stirrups.